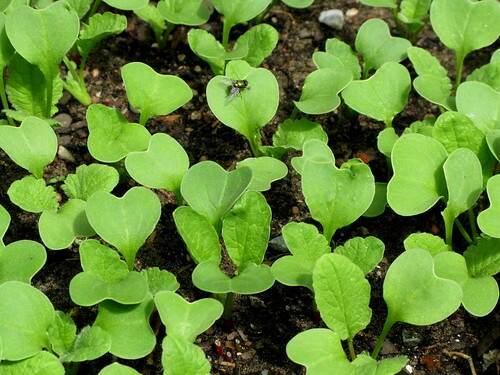 These began to sprout around 4 days after planting, on 8/28/08. We began to harvest around 28 days, and they’re proving to be a little tiny. We’ll thin more next time, and water more as well. They do seem as if they haven’t quite stopped growing, though. 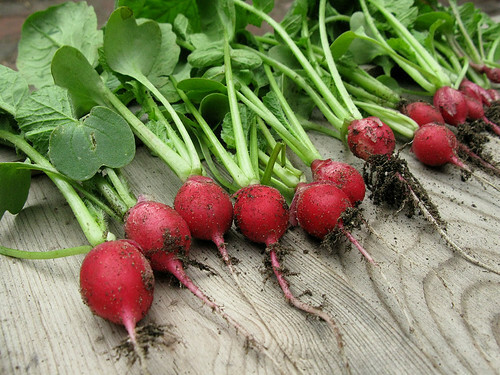 The radishes themselves are fairly mild-tasting, and we’ve also been using the greens in our stir-fried. 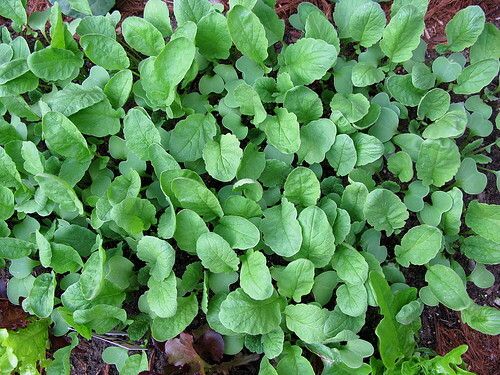 The cooked greens (prickly when plucked) have quite a kick. 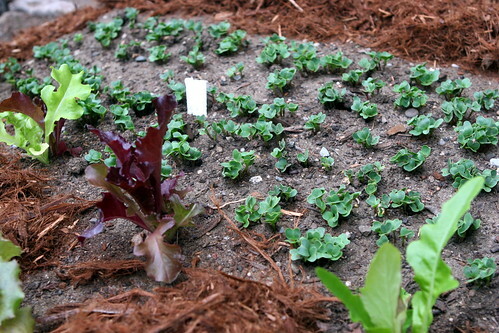 This planting is in the Backyard 2008 garden .